CHRISTMAS DRAW THIS THURSDAY so please return tickets ASAP. Club will be open at 7:30pm each evening for people to drop up tickets. The aim was to only issue all households/registered families’ one book (10 tickets) to sell, if everyone makes a big effort just to sell one book this will be a HUGE success. It is a vital fundraiser for the club to ensure we can keep supporting our 140+ teams’ activities. We do ask Mentors to remind parents and members, players and supporters to return tickets ASAP. 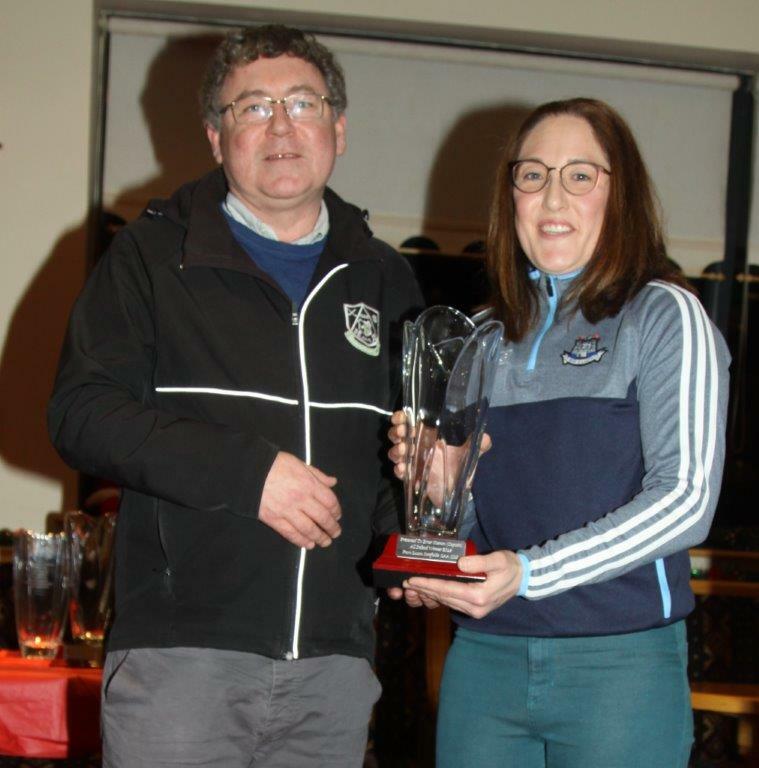 The Camogie section organised a presentation night for our All Ireland Winners, we were delighted to present Emer Keenan (capt) and Emma O’Flynn a memento for their achievements this year with the Dublin Premier team. 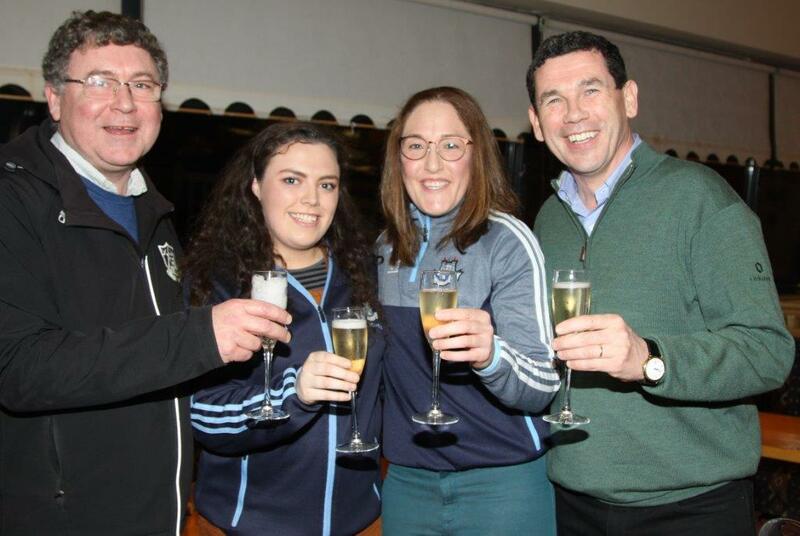 Our deepest sympathies to the Twomey family on the tragic loss of Jerome Snr (Gerry). RIP. Lotto There was no winner of the lotto on the 13th December; Numbers were 11, 12, 20 and 21. Next weeks’ jackpot €7,800, draw will be managed by Frank Fleming and is sponsored by Matt Reilly Autoparts. Lucky Dips Winners: Tommy Alan Greg (€50), Ann Greaney, Michael McAndrew, Larry Fitzmorris, Kathleen Roche. Play Online here, Or Tickets can be purchased at the Club, or in Kenny’s Vesey Arms. Senior Footballers are organising a rowathon to raise funds for the club next Saturday in Liffey Valley SC 1pm to 4pm. Support very much appreciated. 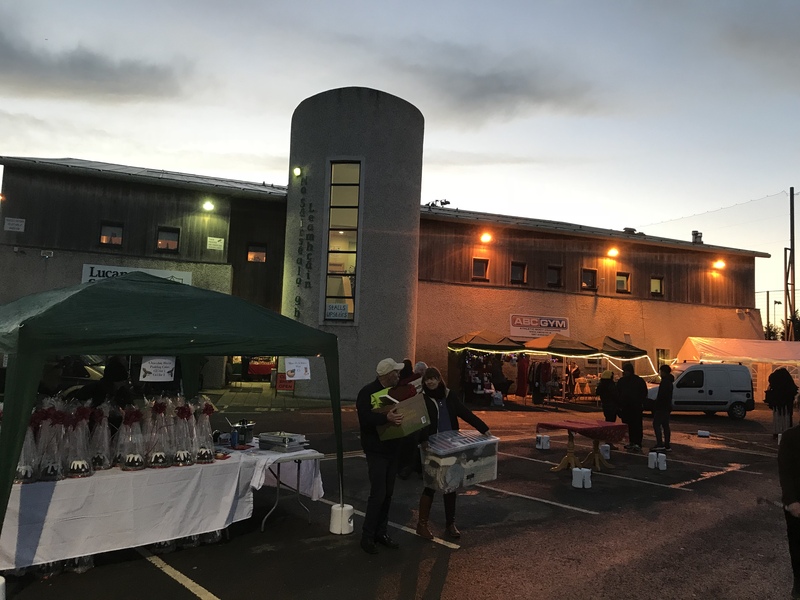 A BIG THANKS to Jackie Foley who organised the wonderful Christmas Craft Fair. REMINDER AGP PITCHES are now closed for the Winter. Lucan District CREDIT UNION Academy and Sars Stars – ‘GAA for All’ take a break for Christmas, after a wonderful visit from Santa who managed to make it despite the orange weather warning. DJ every Saturday Night in the CLUB Bar from 9.30pm onwards. Bus will be provided- numbers permitting, its needs to be booked before the Saturday and pre-pay (€5) at the bar. 085 872 8338. 25 Card Drive every Friday in the Bar, 9.00pm. Entry: €5 per person. 1st Prize: €50, 2nd Prize if 3 or more tables. Everyone Welcome. Club Shop is closed now for the festive period.